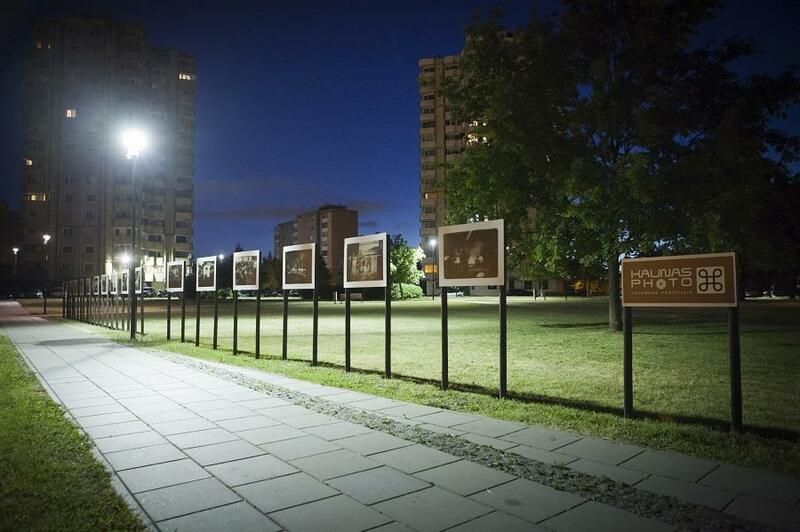 folioPORT for Flâneur, a multi-functional platform of photography, has been developed by KAUNAS PHOTO festival to accommodate the call for works for the 2016 edition of the festival, in conjunction with the "Flâneur: new urban narratives" and share it with the global image community. Driven by the objective to not only reach out for the variety of contemporary street & public urban space photography, organizers of KAUNAS PHOTO intended to go a few steps further and share the harvest of the open call with everyone interested in contemporary photography of high professional and creative standards. In difference to older version of festival's open call tools, folioPORT for Flâneur is an open web site, which for a general audience and researchers can serve as a research tool, a database of contemporary street photography. Now folioPORT for Flâneur has added photographers self-service with possibilities to upload, edit and tag their photographs. For viewers and registered experts (curators, art directors, publishers, picture editors) alike, there is a powerful search tool that allows to trace out requested series of photographs, based on a variety of keywords. Experts invited to review and jury the portfolios submitted for KAUNAS PHOTO festival's 2016 program will have opportunity to make notes about the seen works and curate virtual exhibitions. By clicking "Join", photographers or invited experts choose their profile of activity and follow the guidelines of profile creation. While creating personal profiles, both photographers and experts are requested to attentively fill out the fields and not inverse the name / family name lines. The first step of registration is followed by the email with the link to confirm the registration. Confirmation email is sent immediately following the registration. If the email does not show up in minutes, check the spam folder. After returning to the user profile via link from the confirmation email, photographers can complete the registration. The set of data requested for the profile are key facts about the photographer. After logging in to his /her profile, photographer is prompted to create a portfolio a set of 12 to 15 images. Among those, can be photographs of exhibition installation, book or other visual support material. However, the support images must be sequenced after the artworks and cannot be used as feature pictures. Please put those as the last images of the portfolio. If in the course of creation of the portfolio (sequencing, captionning, tagging) a photographer requires more than one session, it is possible to save the portfolio and continue upon the next login. The saved parametres include textual material, uploaded and sequenced images. When the portfolio is ready, photographers submit the portfolio for approval, after which they cannot alter the content of a portfolio. The reason for freezing the data is rooted in the nature of the platform - it's multi-user and expertise modes. Once portfolios approved, they are ready to be reviewed by experts, who should see the identical version of portfolio, to ensure the consistency of votes. The call for folioPORT for Flâneur is free of charge, and the approval procedure is a formal step, seeking to ensure that only professionally crafted works can be qualified to be in the database. Even if the Flâneur: New Urban Narratives call is open to all photographers, regardless of their age, nationality, the following should be respected in order that a portfolio is approved: a) high professional level; b) high artistic quality; c) connection to the theme. Rejection of a portfolio might result in the lack of the listed features or incomplete, irrelevant data about the portfolio. If / when a portfolio is rejected, an explanatory message is sent to the photographer. In most cases, it contains a hint to actions to be taken in order to complete / fix the portfolio. After fixing the issues, photographers resubmit portfolio for review. A team of KAUNAS PHOTO festival designated experts will review the submitted works for approval. Stick to the theme "Flâneur: New Urban Narratives"
In 2016, photographers are invited by KAUNAS PHOTO festival to submit works on the theme Flâneur: new urban narratives. What should the works speak about? The subject is vast, but to be sure not to distance from it, photographers must have in mind the following. Flâneur - could be synonymous to "street photographer". Therefore, adventurous, researching, tasting, asking, wondering as attitude in observation is expected. The French noun flâneur, means "stroller", "lounger", "saunterer", or "loafer". Flânerie refers to the act of strolling, with all of its accompanying associations. Source - Wikipedia. Urban - the work must deal with the city, urban culture, civilization. Narratives - the work needs to tell a visual, conceptual, documentary, story based on a phenomenon, location, person. It should reflect upon aesthetic, social, political, moral, economic or other types of issues. In 2016, the entire KAUNAS PHOTO festival adopted the topic of Flâneur: new urban narratives. The EU co-funded project of the same title has enabled the festival to re-engineer its application platform folioPORT to match this particular purpose and its functionalities. While photographers from all over the globe can submit their work, some parts of the KAUNAS PHOTO program will only consist of works by European photographers. KAUNAS PHOTO 2016 events will start from June to the end of October, with the main week between September 6 and 11. - Central exhibitionat M.Žilinskas Art Gallery of the National M.K.Čiurlionis Art Museum (photographers from geographical Europe), from August 19 to September 19. - KAUNAS PHOTO STAR - solo exhibition at the Kaunas Photography Gallery from August 19 to September 15. - Projection events, among them one open-air night with screens in the centre and old town of Kaunas, inspired by the Nuit de l&apos;Annee in Arles. Dates to be precised. So "Join", "Create a Portfolio" and be a part of folioPORT for Flâneur database and become KAUNAS PHOTO festival participant! For more, see "Conditions and Terms"
Share the news about your work on folioPORT for Flâneur!